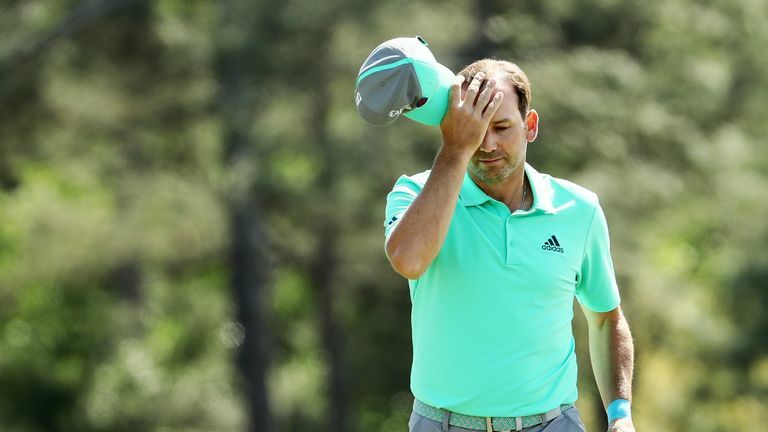 Sergio Garcia issued an apology for letting his frustrations boil over after he was disqualified for "serious misconduct" at the Saudi International. Garcia reportedly damaged a number of greens in anger during his third-round 71 and prompted complaints from the players behind him, forcing the European Tour to disqualify him under Rule 1.2a. The Spaniard had escaped unpunished on day two at the Royal Greens Golf & Country Club when he vented his frustration in a bunker after needing two attempts to escape the trap due to a poor lie in the sand. But he paid the ultimate penalty a day later when he was removed from the tournament following his round of three birdies and four bogeys which left him 16 shots adrift of the leaders after 54 holes. Garcia said: "I respect the decision of my disqualification. In frustration, I damaged a couple of greens, for which I apologise for, and I have informed my fellow players it will never happen again." The 2017 Masters champion is believed to be the first player to be disqualified for serious misconduct during a round on the European Tour since it was established in 1972. Garcia, who was apparently rebuked over the incident by European Tour chief executive Keith Pelley, is now likely to be hit with further disciplinary action and could face a suspension or, at the very least, a hefty fine.